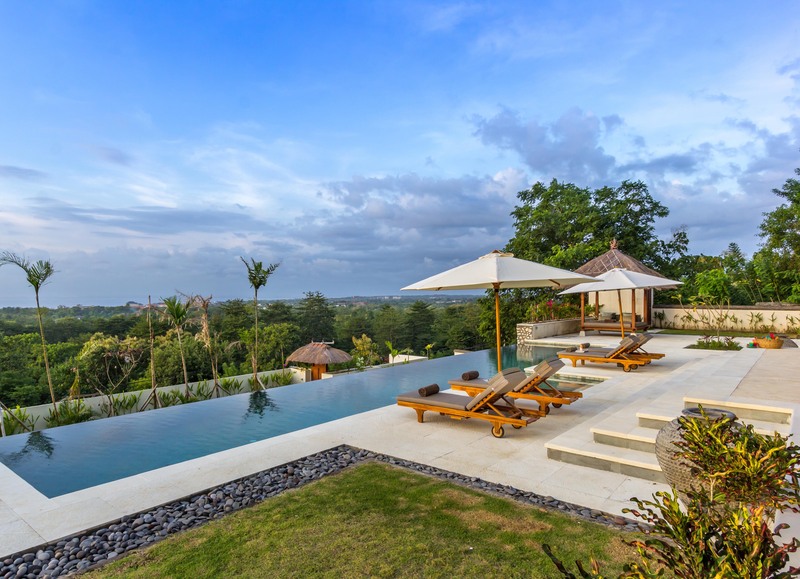 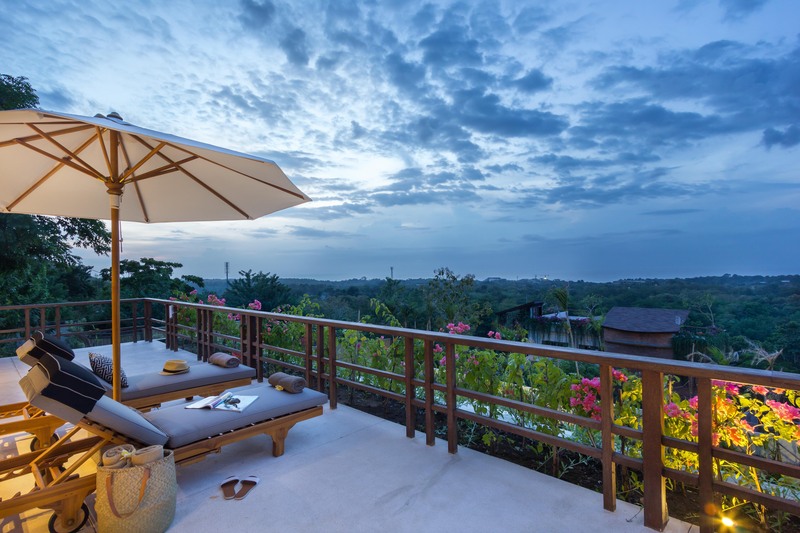 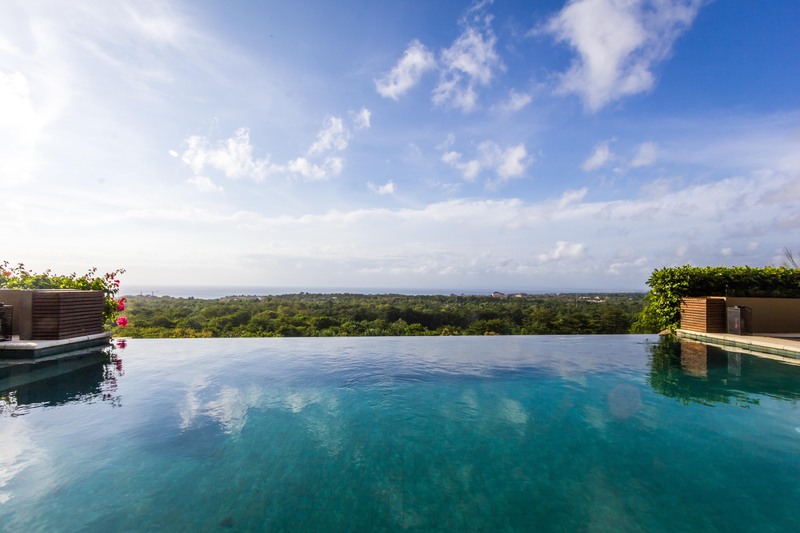 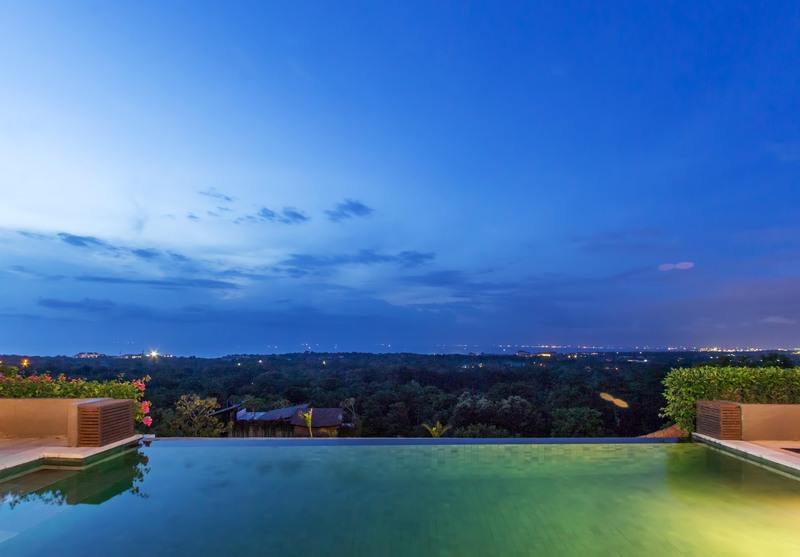 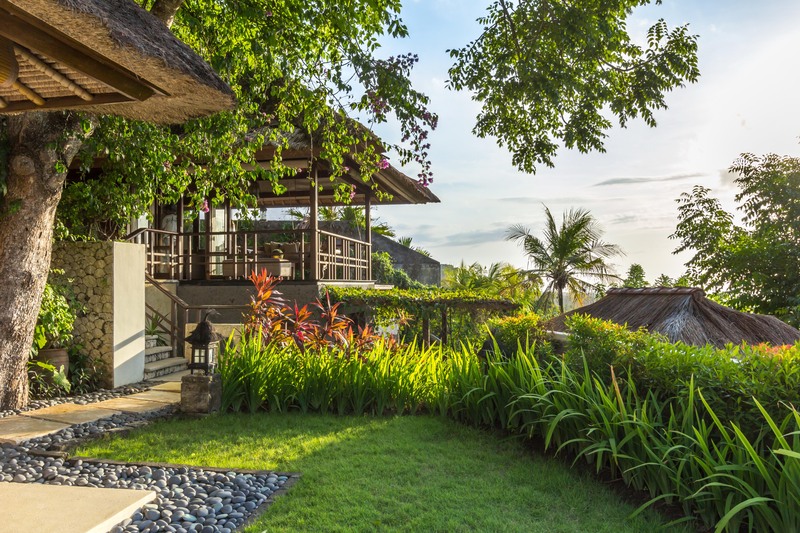 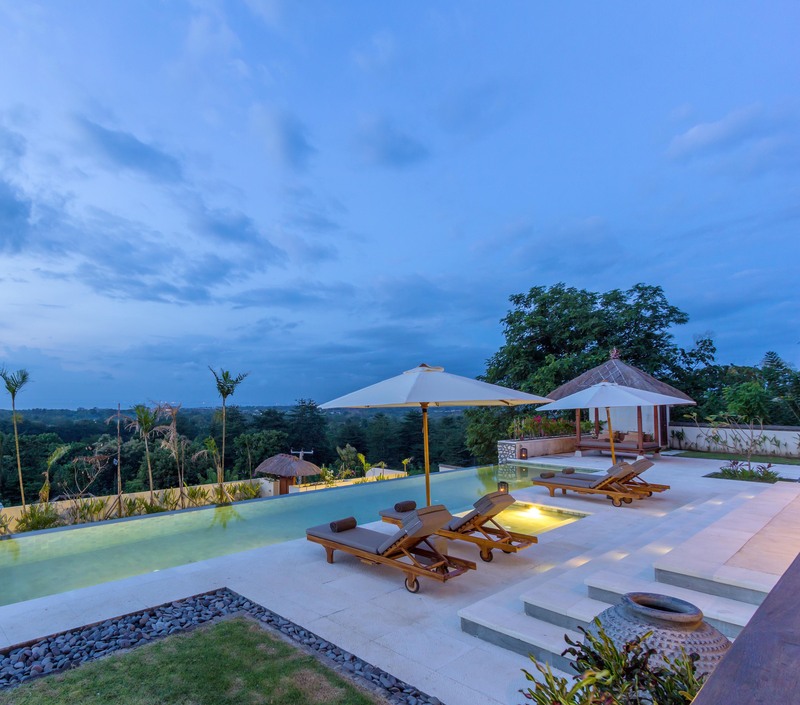 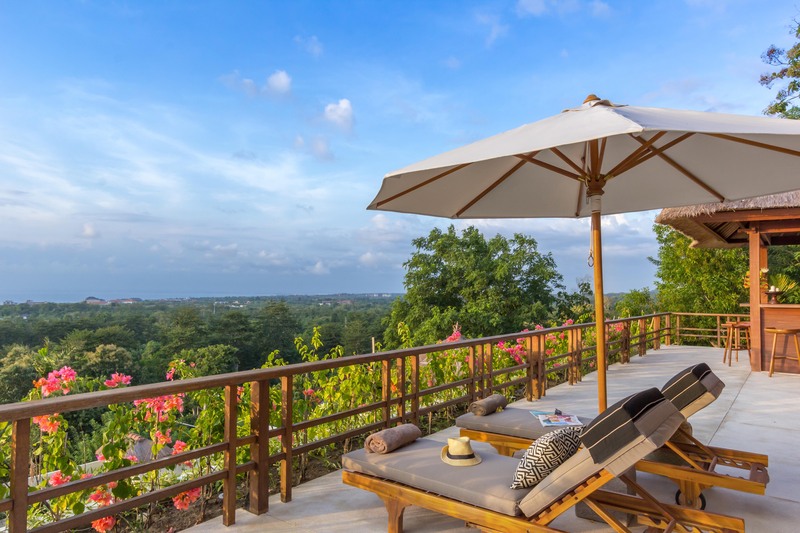 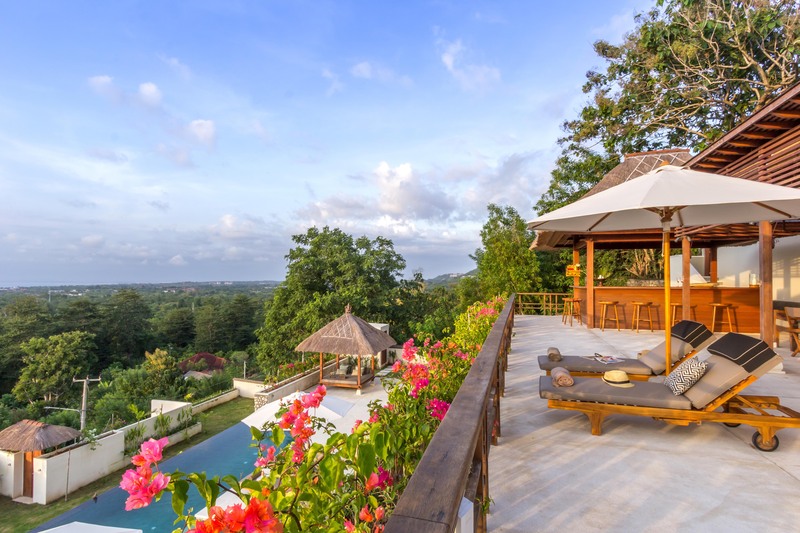 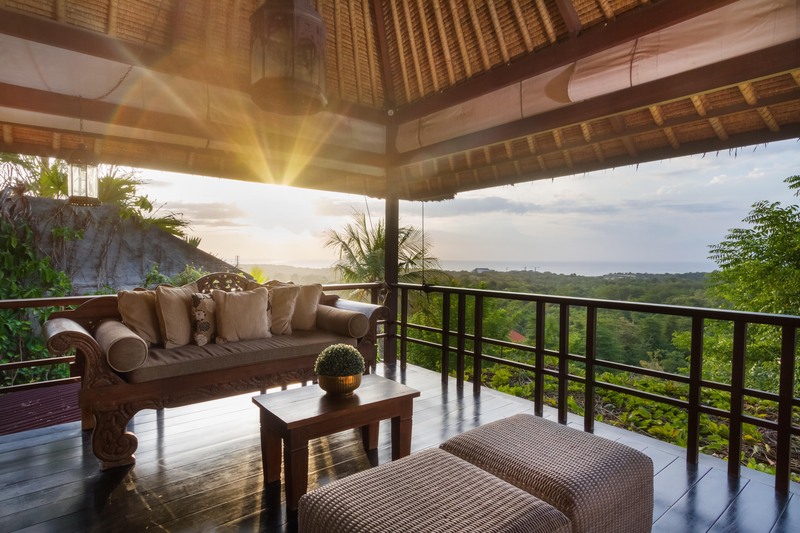 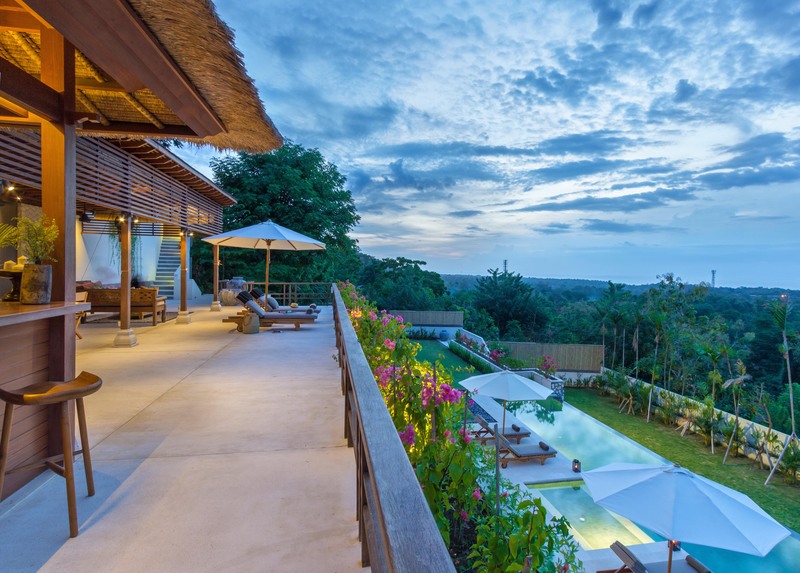 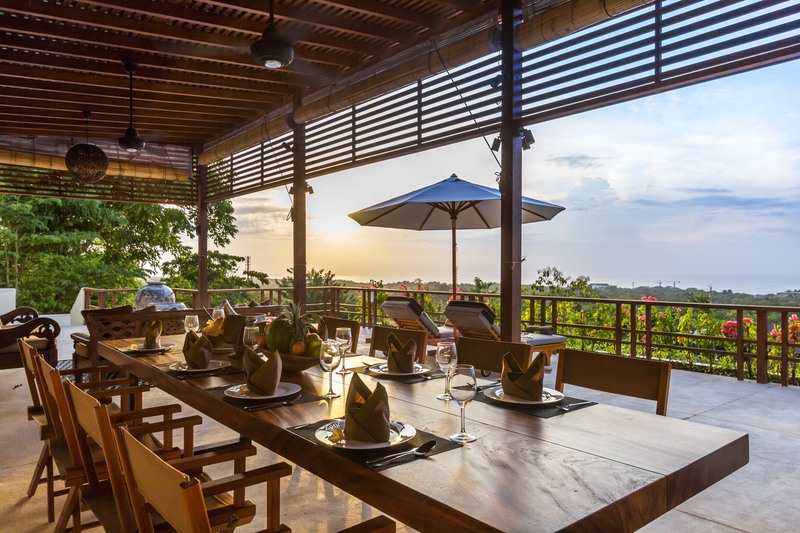 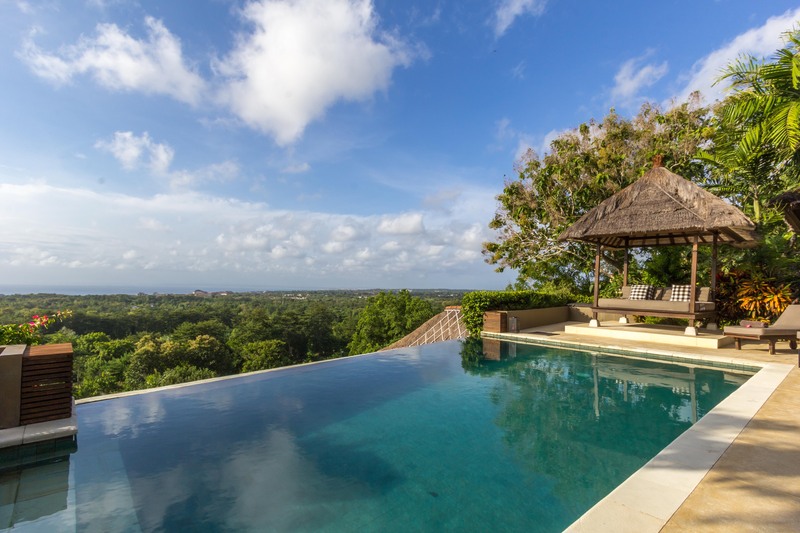 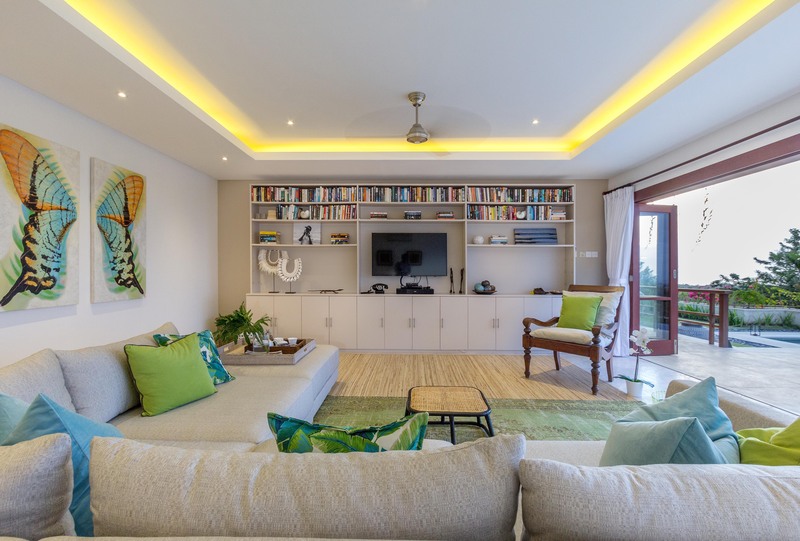 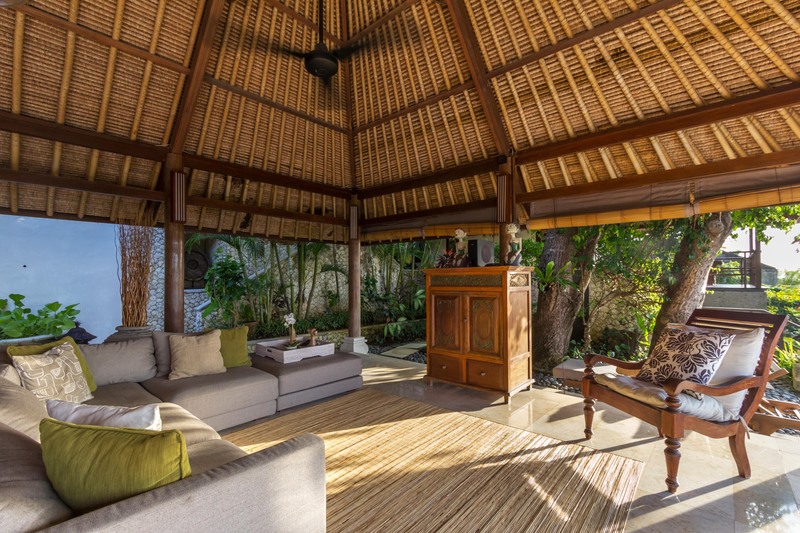 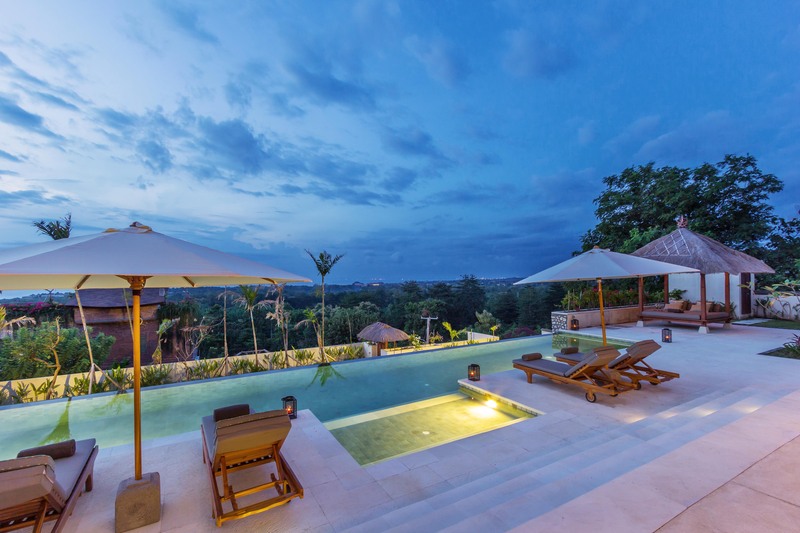 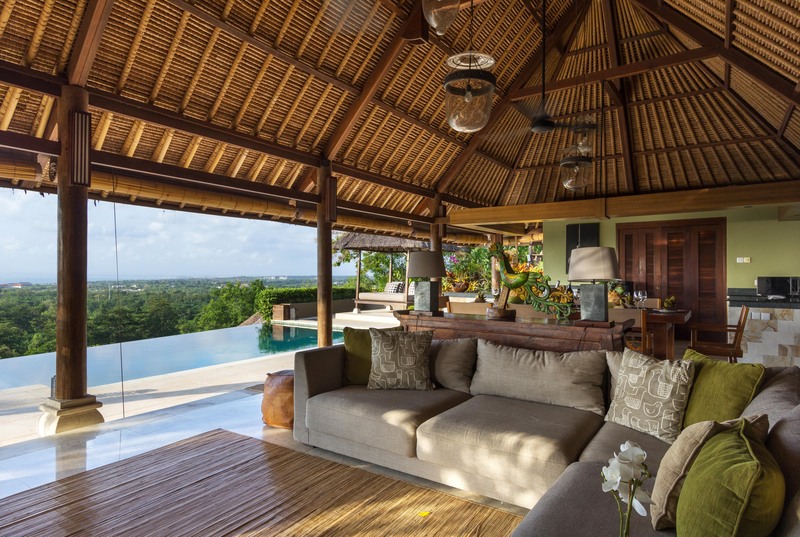 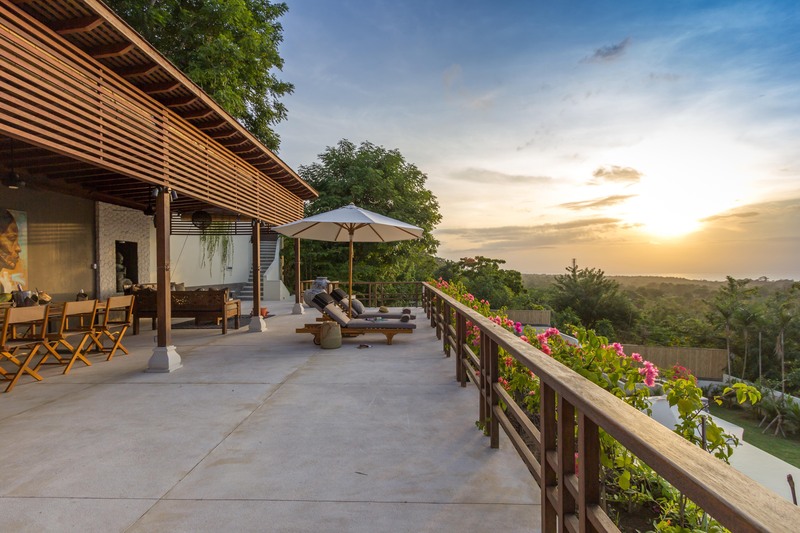 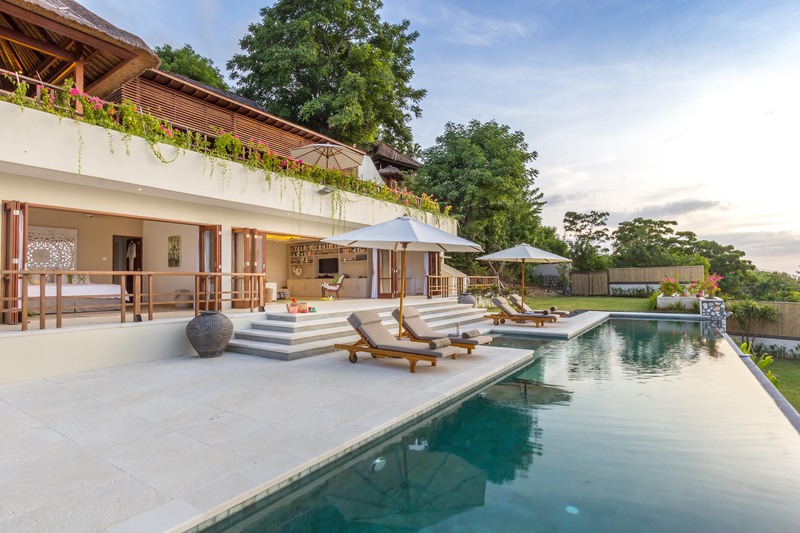 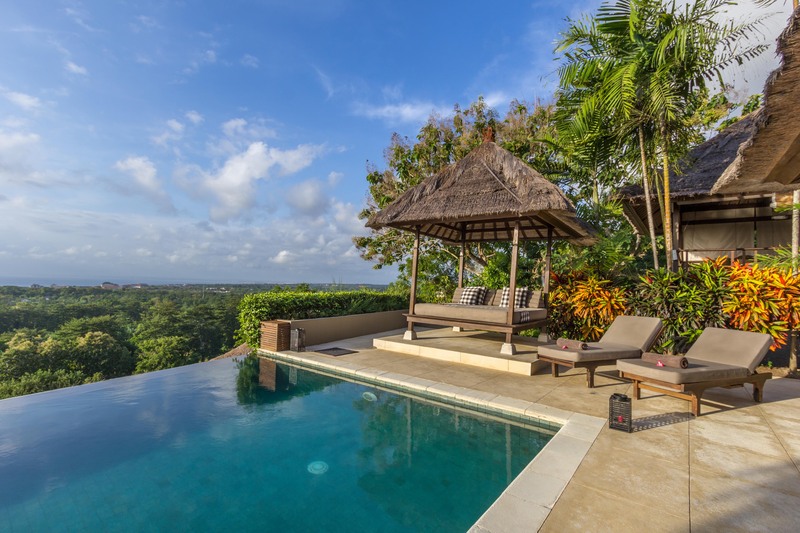 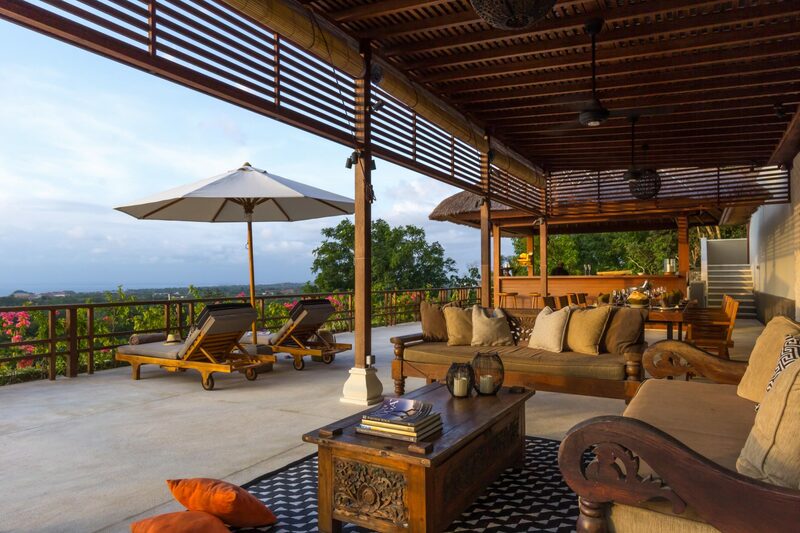 With so many choices of places to come together or relax on your own, this is the ideal villa to gather your friends and family for the holiday of a lifetime. 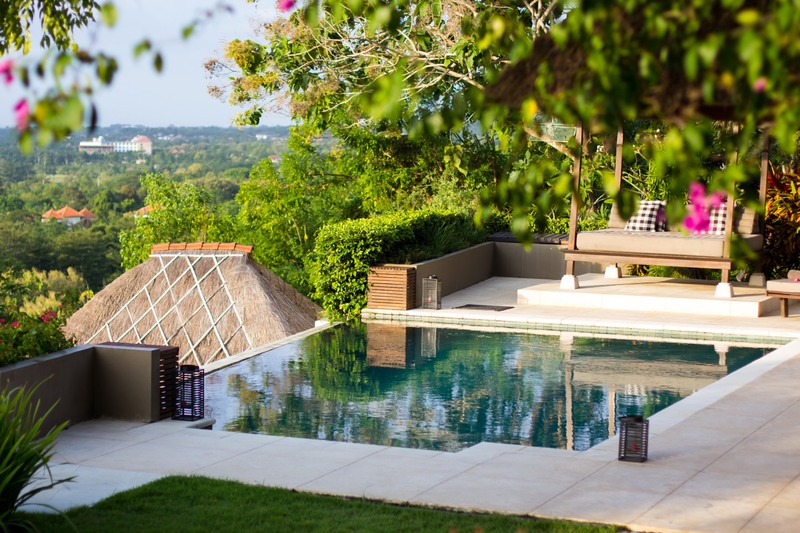 With the luxury of the kind of space that you rarely find in private villas, you can spread out and enjoy either of our two stunning pools, three living areas, two outdoor dining areas, bar, library, several gardens and six generously proportioned bedrooms, four of which have their own verandah or garden for when you need some peace and quiet on your own. 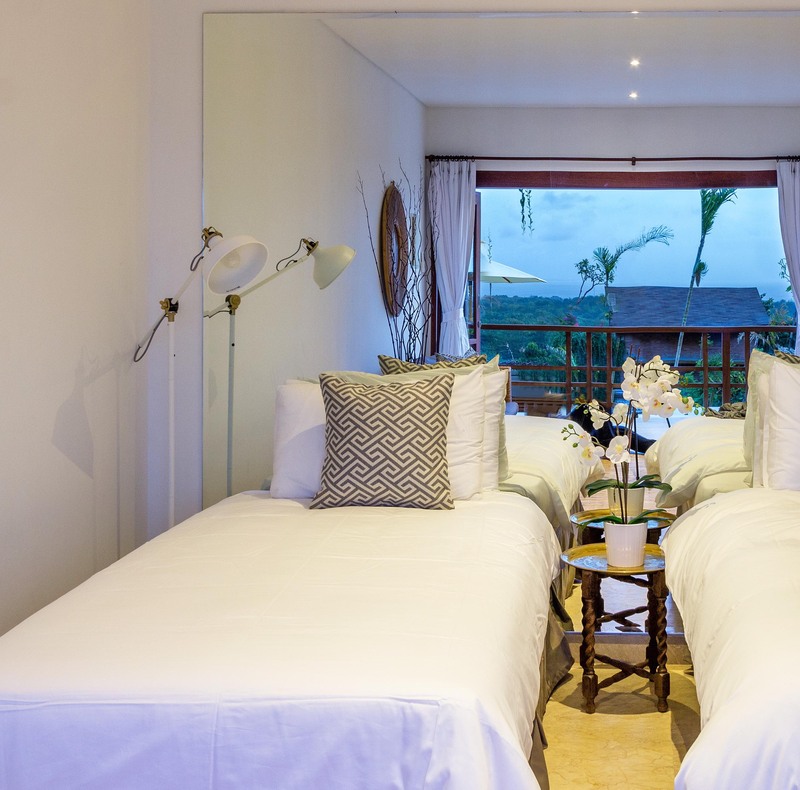 There is even an additional bunkbed room – room for three more children! 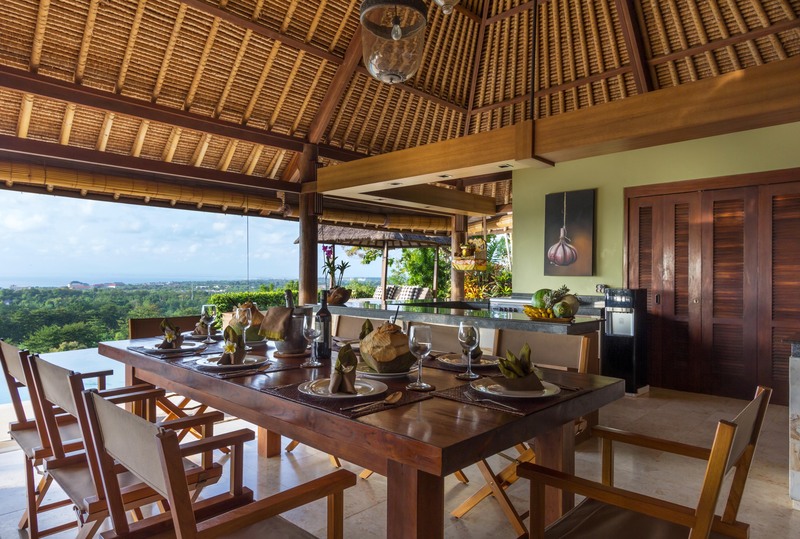 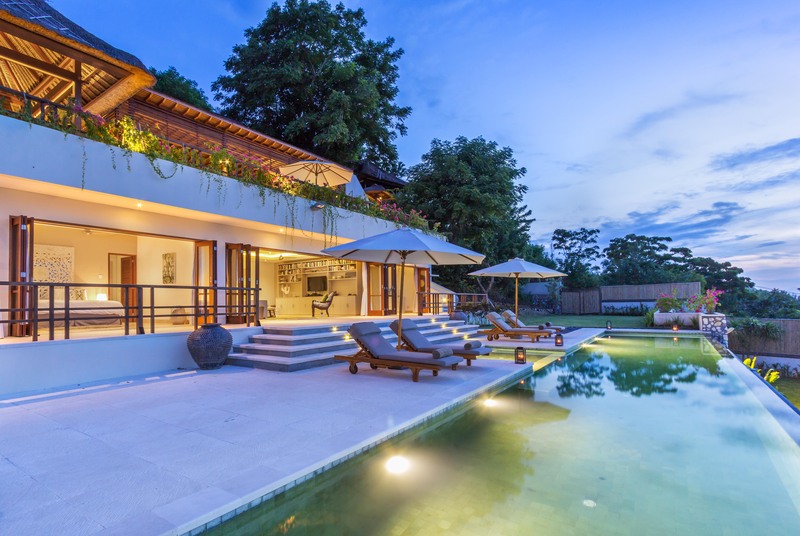 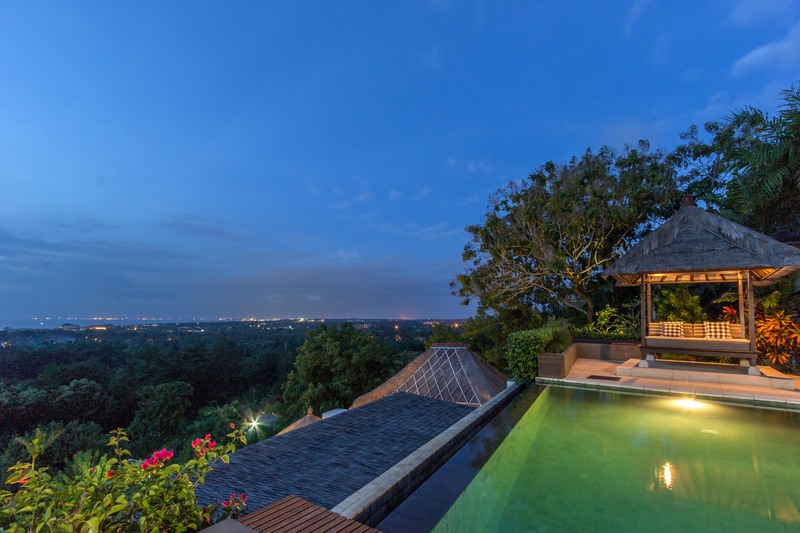 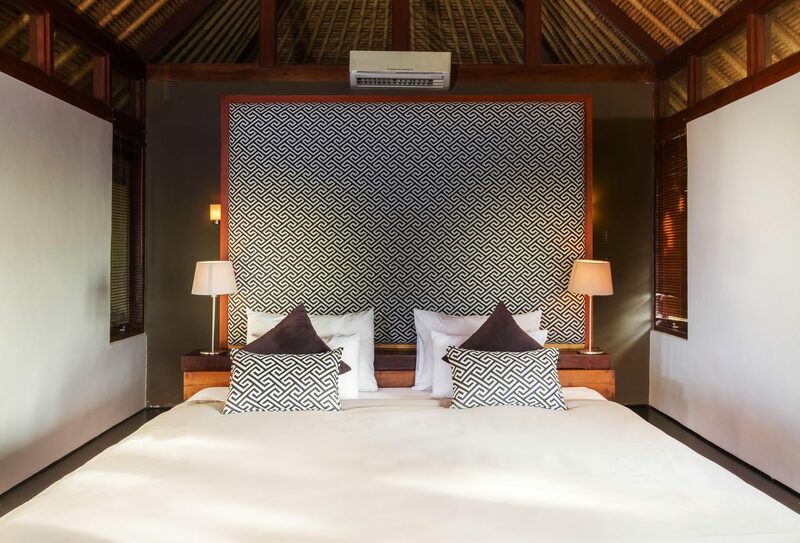 Granite topped kitchen surfaces, stainless steel bathroom fittings and recessed lighting blend seemlessly with local palimanan stone, intricately carved wooden doors and Balinese temples. 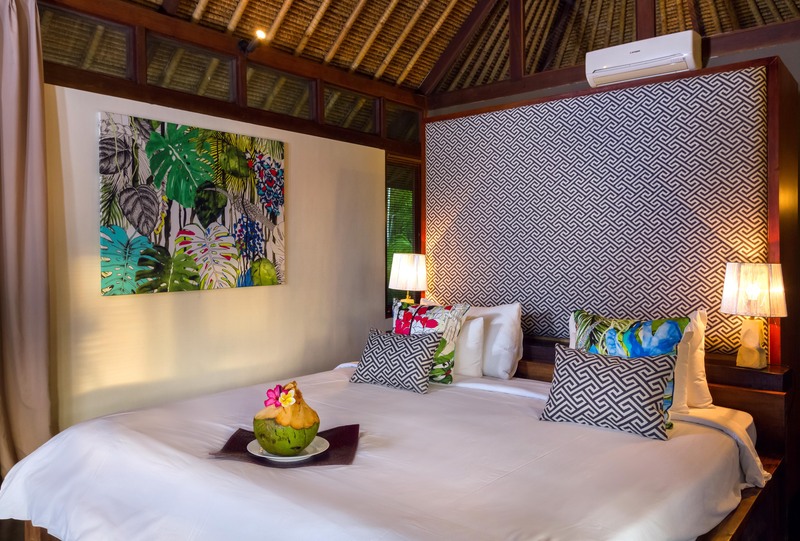 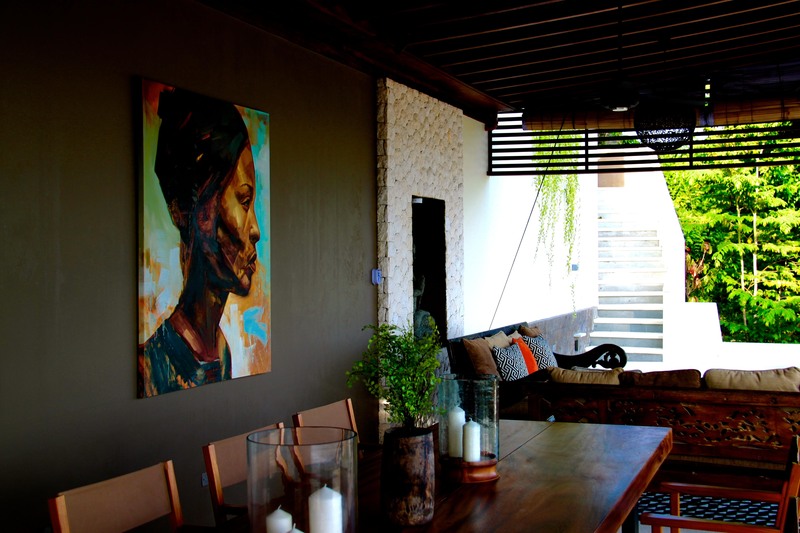 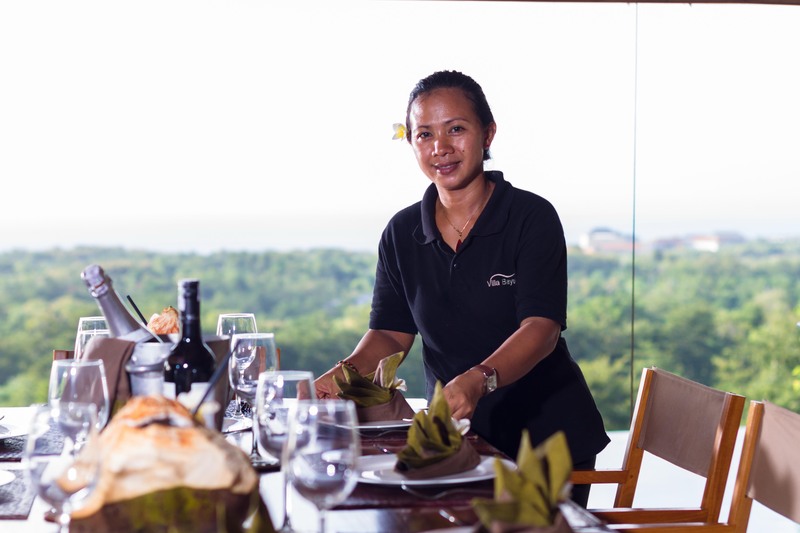 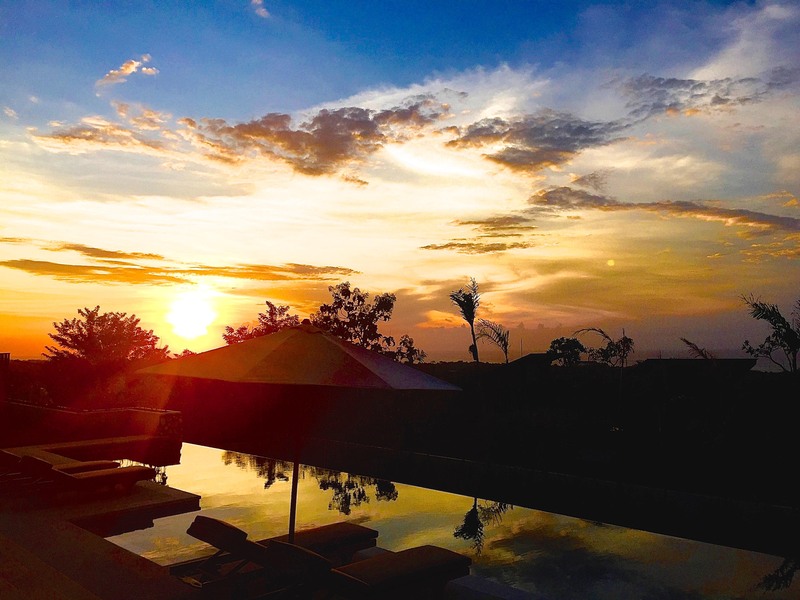 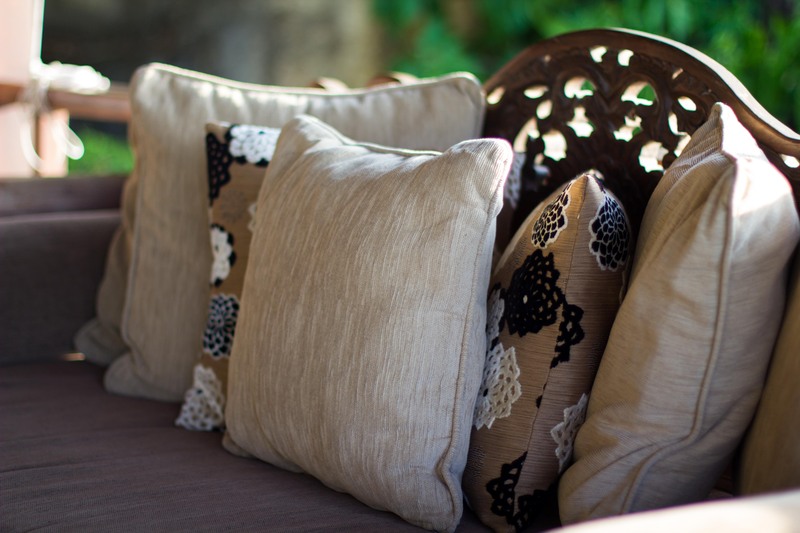 Your villa experience is of course made particularly special by the presence of our wonderful staff. 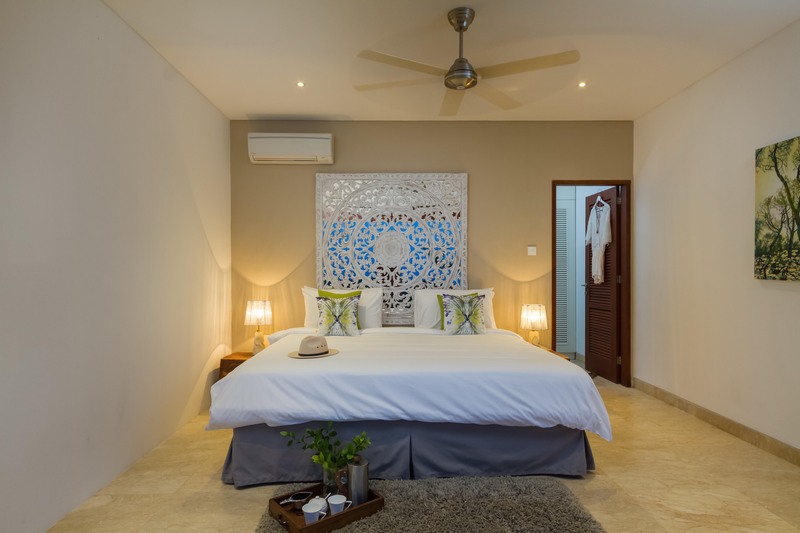 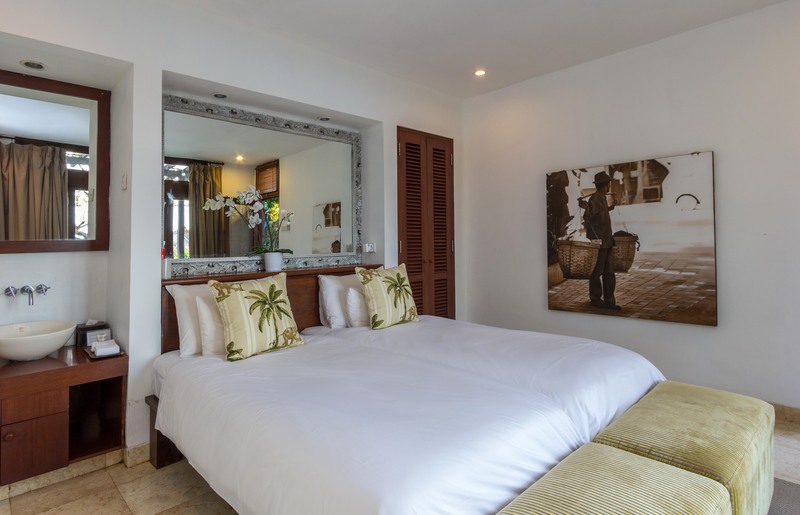 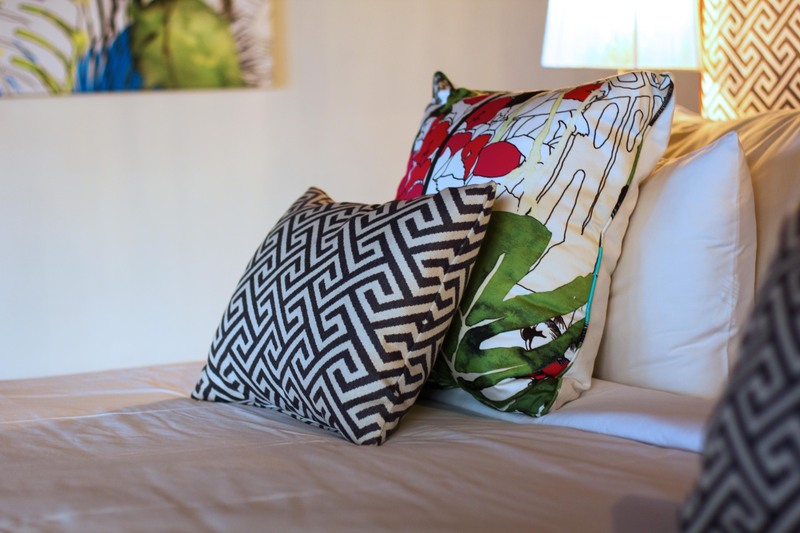 Careful to make sure that you have all you need, while respecting that you may prefer privacy, they will prepare your meals, clean and tidy your bedrooms and deal with any laundry needs and shopping requests.